When visiting Motonet show one day I saw LED light bubs display with following match for LED bulb power to classic light bulb watts (similar idea as in energy saving lamps matches certain watts normal bulb). The power ratings I saw was: 1.3W LED would match 13W normal bulb. And 2W LED would match 20W bulb. And so on. Sound like about right as general rule of thumb for LED products now. But keep in mind that the efficiency of LED bulbs vary considerably depending on how light bulb is built and what components are used in it (and products will continue to change over years). One example is that a 7W LED bulb (at 560 lumens) can serve as a replacement for a typical 500-lumen 40W incandescent bulb. I have earlier written about LED car bulbs. A 55w halogen should typically be putting out 500 to over 1000 lumens. A good 3.4w led would be about 250 or less. So something like 3-4 of such LEDs would be needed to the same output as 55w halogen gives out. In a 120 volt, 100 watt “standard” bulb with a rated light output of 1750 lumens, the efficiency is 17.5 lumens per watt. This compares poorly to an “ideal” of 242.5 lumens per watt for one idealized type of white light, or 683 lumens per watt ideally for the yellowish-green wavelength of light that the human eye is most sensitive to. Most household incandescent bulbs have efficiencies from 8 to 21 lumens per watt. The reason for this poor efficiency is the fact that tungsten filaments radiate mostly infrared radiation at any temperature that they can withstand. Higher efficiencies near 35 lumens per watt are only achieved with photographic and projection lamps with very high filament temperatures and short lifetimes of a few hours to around 40 hours. I was extremely pleased to discover this web site. I wanted to thank you for ones time due to this wonderful read!! I definitely enjoyed every bit of it and I have you saved to fav to see new things in your website. In matters involving conscience, what the law states connected with the vast majority doesn’t have any position. This really is excellent cool. I’ve been looking by way of a bunch on the internet and also really loved this excellent adaptation. 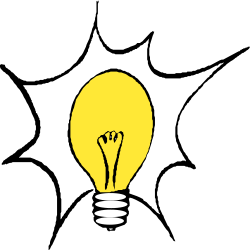 Much ink (cyber and physical alike) has been published over the years, both in EDN and elsewhere, regarding the relative merits and shortcomings of various supposed successors to the venerable incandescent light bulb. CFLs (compact fluorescent light bulbs) were initially seen by the “green” crowd (which, to be clear, counts yours truly among its members) as the most likely candidate, thanks to their touted higher efficiency and longer lifetime versus incandescent precursors. But they haven’t particularly panned out, in my opinion. So why am I dissing CFLs so badly now, versus at any point in the past or future? It’s because shortly before I began writing this missive, General Electric announced that it was phasing out the production of CFLs (see additional coverage in Engadget, Gizmodo, and The Verge). Instead, the company will focus its ongoing development and manufacturing attention on what it sees as their successor, the LED. “But Brian,” you might be saying, “LEDs are pricey, too!” You’re right, but the prices have dramatically dropped in recent times, to the point where they’re now at or below CFL alternatives, with further decreases to come. And this is key: I’ll suggest that consumers’ existing experience with other LED-based devices leads them to believe that, unlike fluorescent-based lights, LED light bulbs will tend to last “forever,” thereby more effectively rationalizing the prices paid for them. Admittedly, the base-based circuitry is still heat-sensitive, and overall construction quality varies from one manufacturer to another. But as a general rule, I think you get my point. And in other respects, such as color temperature, form factor flexibility, turn-on time, and the like, LEDs are at least the equal of incandescent forebears, if not the superior approach.